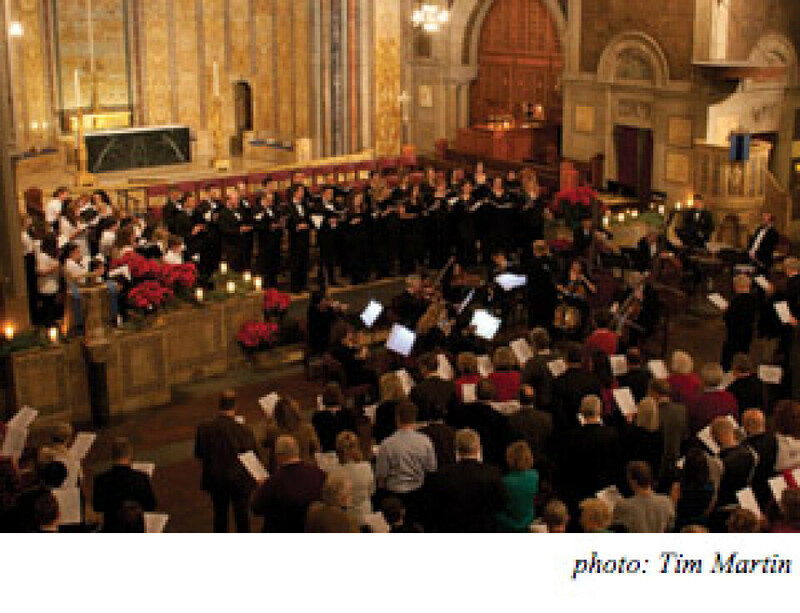 Join us for an annual holiday tradition with wonderful music of the season, sung by St. Bartholomew’s Choir, Boy and Girl Choristers with Chamber Orchestra and our majestic pipe organ--all in the candle-lit splendor of St. Bartholomew’s Church. All of the ensembles will join forces to offer Part I of Handel’s enduring “Messiah.” Additionally, you’ll hear the exquisite ancient carol “I sing of a mayden” in an arrangement for choir and strings by Bob Chilcott, and the transcendent “Det är en ros” (“Lo, how a rose”) for unaccompanied double choir by the mystical Swedish composer, Jan Sandström. St. Bartholomew’s Choir will “let their hair down” in a “knock your socks off” arrangement of “Jingle Bells” by Ben Perry. There is something for everyone. Tickets at $40 and $25 with a $10 discount in both pricing categories for seniors and students can be purchased at mmpaf.org or by calling the Concert Office at (212) 378-0248. Angel Club seats at $100 (this includes a $60 tax-deductible contribution to MMPAF, an invitation to the concert reception and membership in the Friends of Great Music Guild ) are also available.